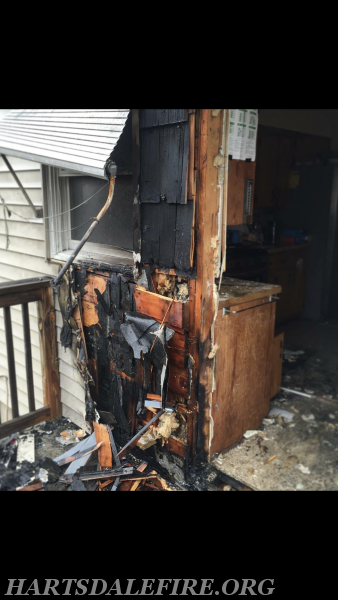 Yesterday, April 12th at 4:30pm Hartsdale was notified of a resident reporting their house on fire on Lytton Place. Hartsdale dispatched Car 2172, Engine 169 & 171, along with Engine 175 and Ladder 1 from Fairview. *Note Hartsdale Engine 170, Car 2171, Car 2173 and 2174 were operating at a shoring operation in the Greenville Fire District. 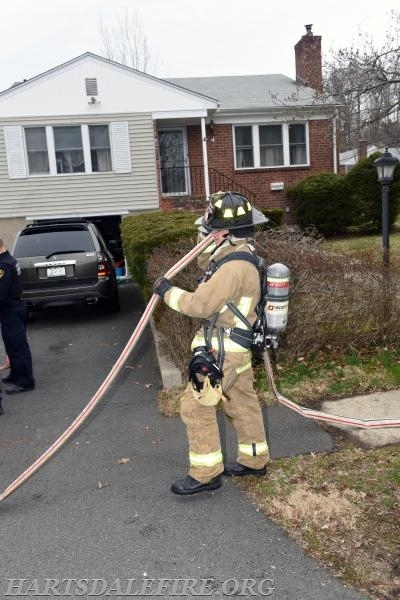 Hartsdale’s recall of off duty members ensured full staffing for both incidents and no delay or sacrifice in the level of fire protection we pride ourselves on. Hartsdale units arrived on location 2 minutes after dispatch to find a fire on the side of the house extending from floor to roof with smoke from the eves as well. Command declared a working fire and requested a 10-75 assignment. 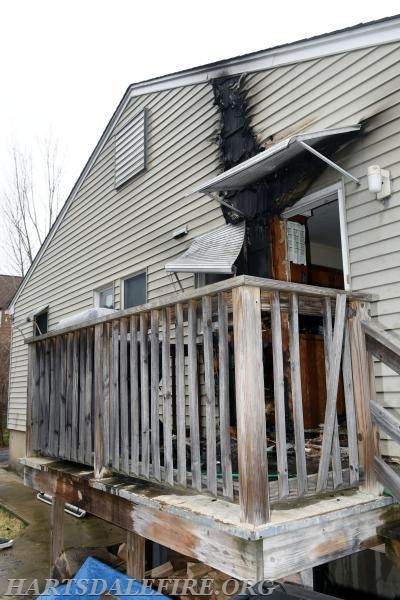 Firefighters quickly stretched a 2” hose line and began extinguishing the fire. Additional fire crews searched above and below the location of the fire to check for additional fire spread. 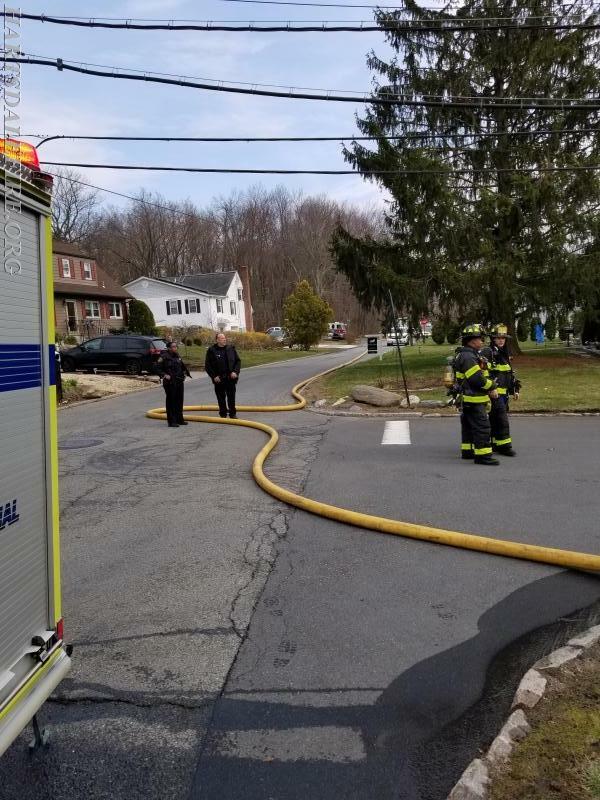 When the pump operator attempted to open the fire hydrant, it was determined that the hydrant was bad and an “URGENT” for a Water Emergency was transmitted notifying all units they would be limited to the 500 gallon tank on the engine until a positive water source was established. Firefighters quickly located the next closest hydrant and a firefighter hand stretched over 400 feet of large diameter hose. 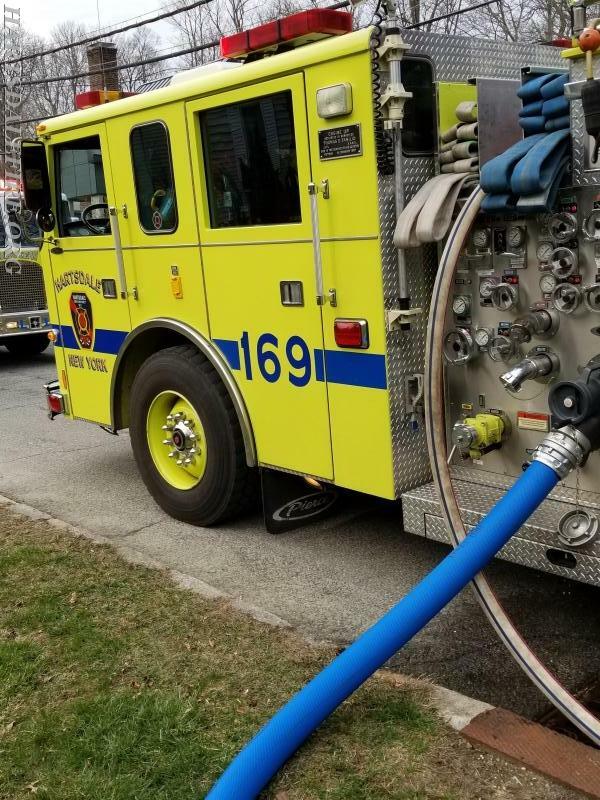 The new hydrant was hooked up and charged to provide supplemental water into the fire engine’s tank. Our members constantly train for what to do when faced with a water emergency; training and instincts kicked in ensuring water was not lost during the operation. 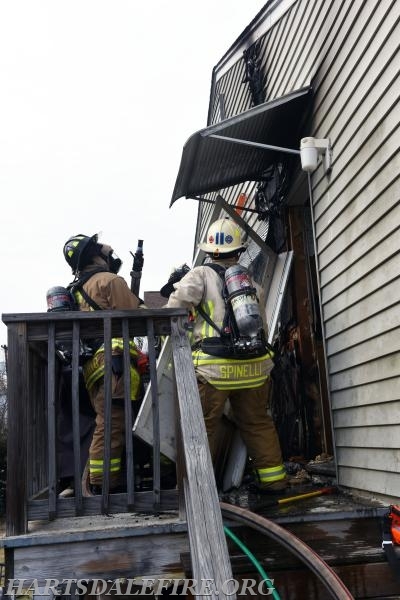 Upon initial extinguishment, firefighters overhauled the area on both the inside and outside of the wall to check for extension and ensure full extinguishment. Crews verified that the fire was held to a few stud bays and the incident was placed under control in less than 20 minutes. Multiple mutual aid units responded to the scene or provided coverage of the Hartsdale Fire District while we operated at multiple calls. We thank especially Greenville and Fairview who also had units committed to the Greenville Job and still had manpower and apparatus to respond to our incident. Thank you White Plains, Eastchester, Elmsford and Yonkers Fire for their assistance as well. Con Ed, Greenburgh - Police & EMS operated on scene as well.